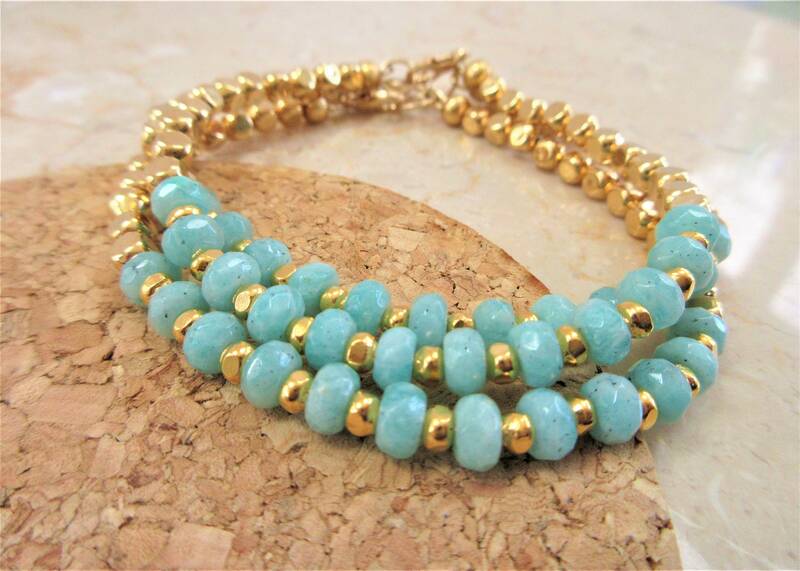 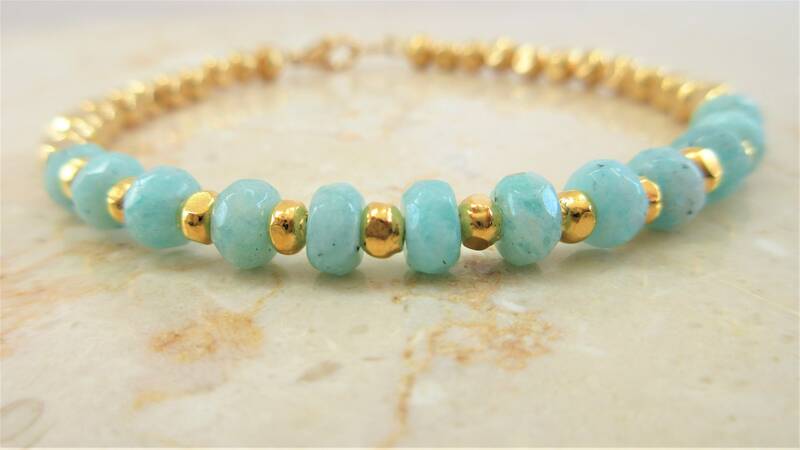 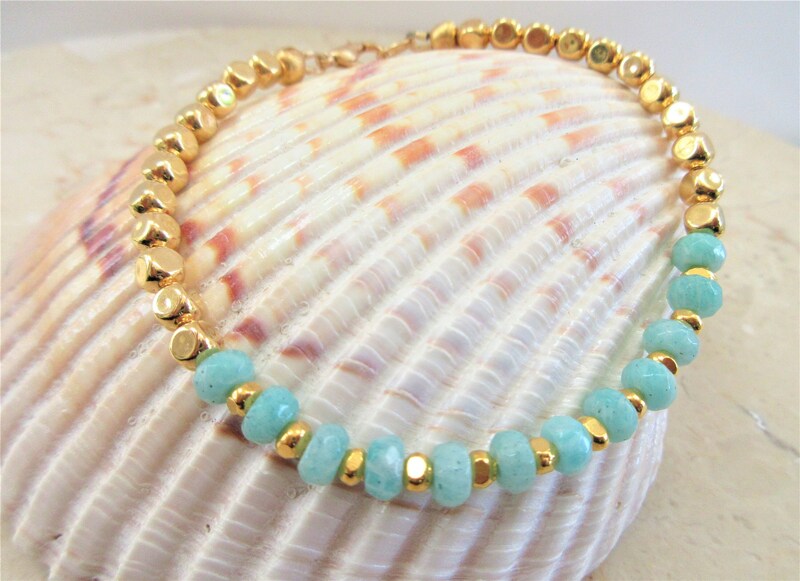 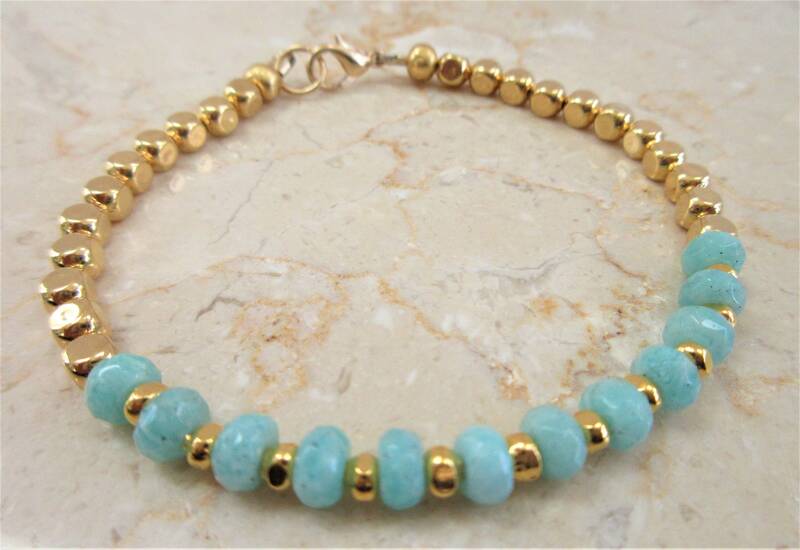 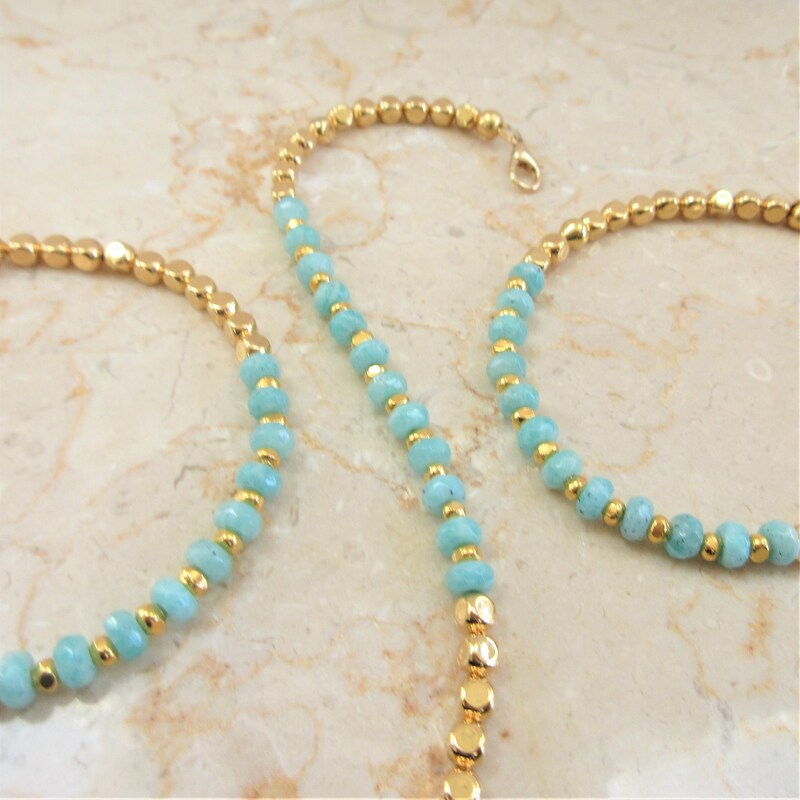 Amazonite rondelles bracelet that are Pretty pale blue aqua colored faceted beads. 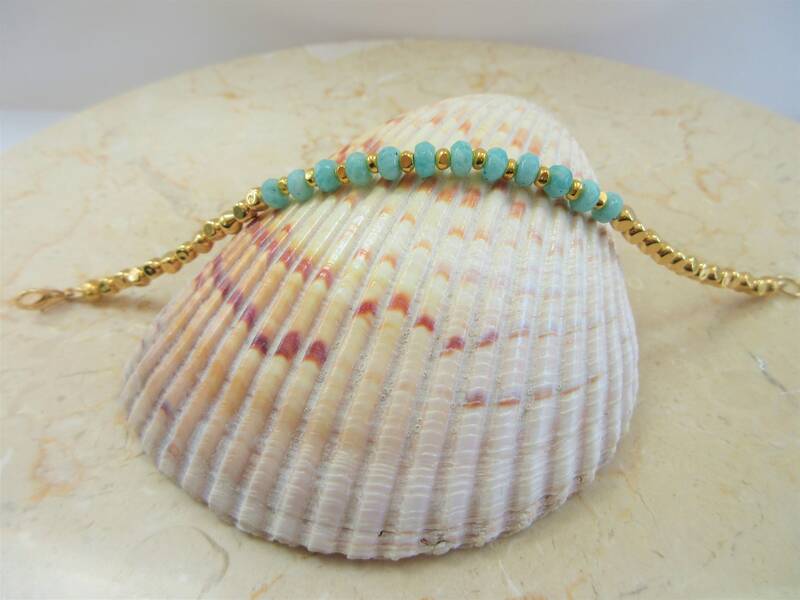 Handwired on jewelers wire and closed with a gold lobster claw. 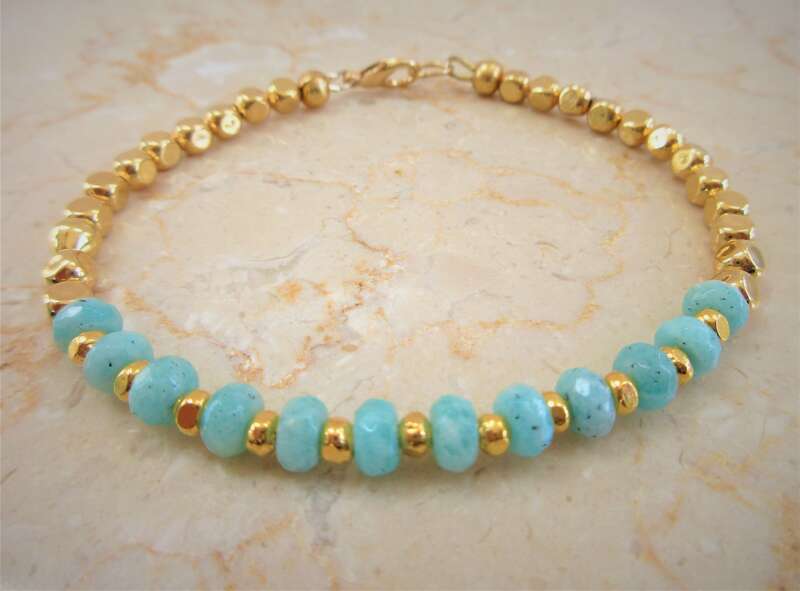 Miniscule specks and variation due to it being a natural stone. 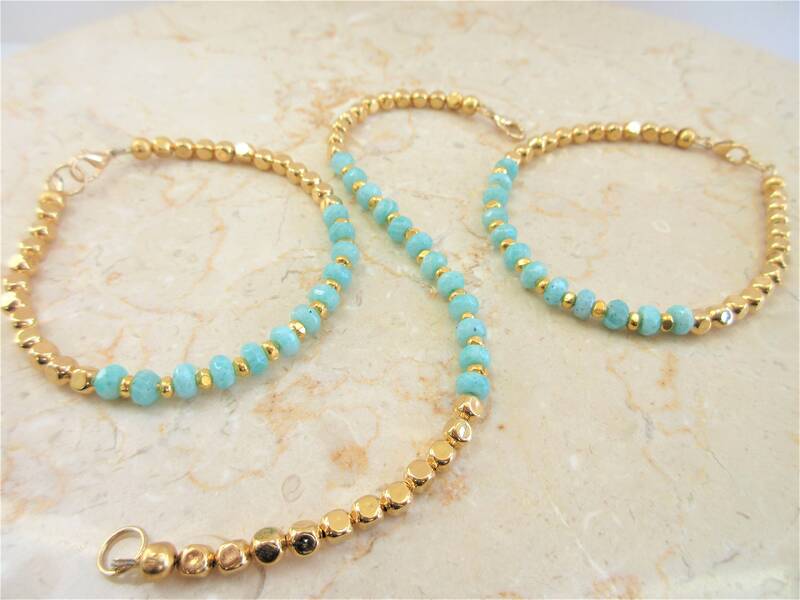 So pretty wearing one, with your watch or alone. 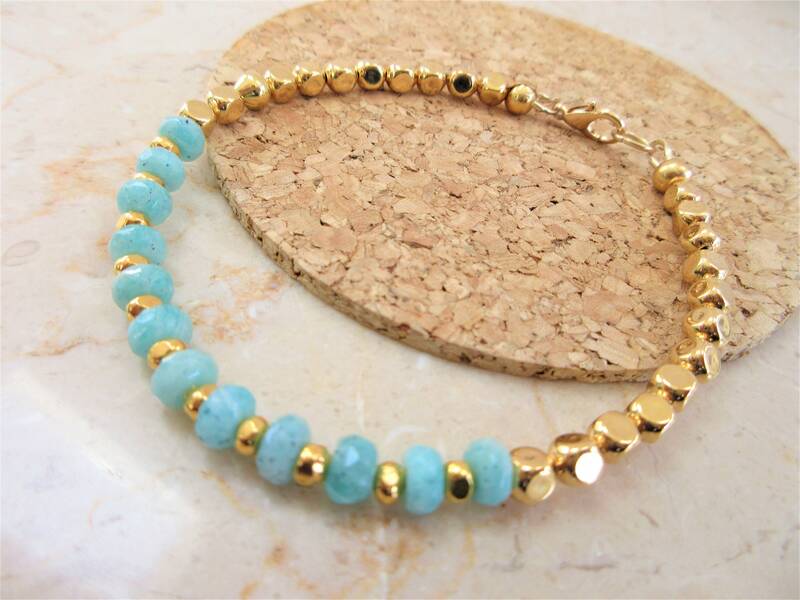 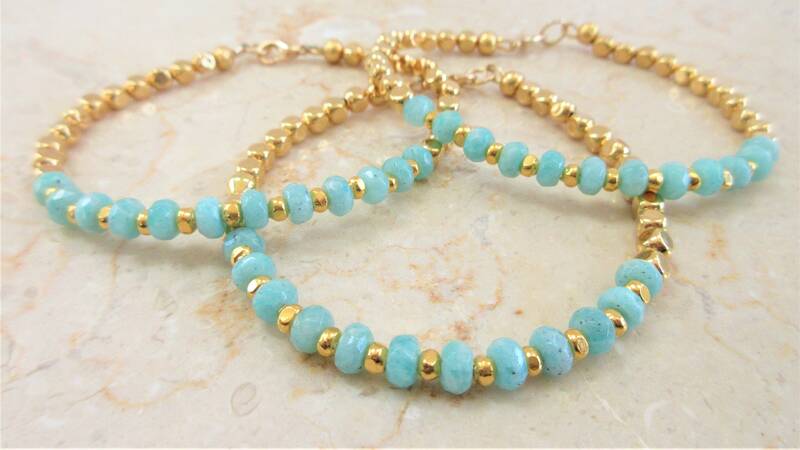 Amazing wear 2 or 3 of these amazonite bracelets.